Why do we stay in Toastmasters? ← Pathways Launched! Join us on Dec. 11 to Learn More! 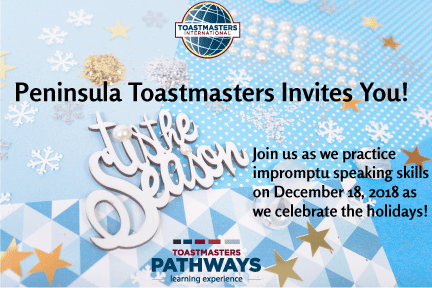 Join as we are having a fun and festive meeting focused on impromptu public speaking skills! Monday, December 18 is our next meeting.